I don’t read YA much, except occasionally for Out In Print. It’s not because I don’t like the genre–several authors such as Jeffrey Ricker, Alex Sanchez, and Leslea Newman usually strike some sparks that I respond to. I just find myself reading other things. 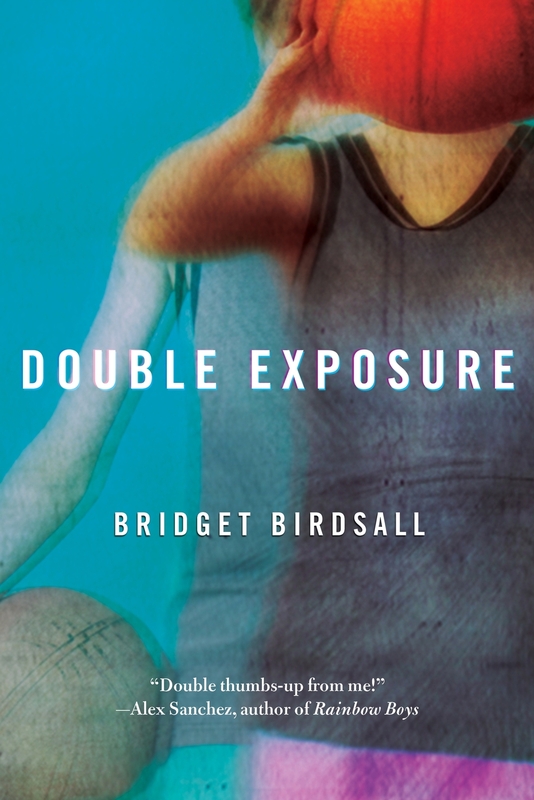 However, I’m all about trying something that goes above and beyond the ordinary, so when I received Bridget Birdsall’s Double Exposure, about an intersexed teen basketball star, I was anxious to dive into it. And, with one reservation, I largely enjoyed it. Alyx Atlas, an intersexed fifteen-year-old bullied out of her hometown in California, moves to Milwaukee with her recently-widowed mother and tries to make a new start of it. At first, all is fine. She makes the girls basketball team and is beginning to put it all together when she runs afoul of fellow player Pepper Pitmani. Pepper discovers Alyx’s secret and decides to go public with it, threatening the playoff chances of the team as well as Alyx’s new life. The positives in Double Exposure far outweigh the problematic. Birdsall does a terrific job of voicing Alyx, sounding like a fifteen-year-old rather than a thirty-year-old writing a YA book. That alone sells the book for me. Many YA authors lose their credibility instantly because they are unable to achieve this, but Birdsall makes it look easy. That she does so without using slang that immediately dates the book is even more remarkable and ensures a much lengthier shelf life for the novel. And you certainly can’t fault Birdsall’s command of character. Alyx is complex and three-dimensional, as frustrated with herself and her secret as she is determined to be who she needs to be. She is the glue holding the book together. Her mother is somewhat of a cipher, but her uncle Grizzly turns in a great performance as a biker polar bear. And Birdsall also knows her basketball, weaving that thread all through the book from the first time we see Alyx in Milwaukee. All those pieces in place, it’s a shock that the major plot complication telegraphs itself from the moment the team becomes eligible for the playoffs (and even before). That it comes as a surprise to any of the characters, including Alyx, undercuts their credibility. And then, nearly as soon as it has been raised, it simply goes away and doesn’t appear to have been a serious obstacle at all. As savvy as Alyx is, she should be preparing her defense for it from the get go. And by eliminating the threat before it really has legs, Birdsall misses some dramatic opportunities that could have made the ending even more worthwhile and heartfelt than it is. Nevertheless, Double Exposure is well worth your time and certainly recommended for anyone who enjoys well-written, timely YA.